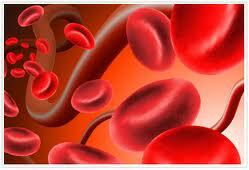 Hematology is the study of the anatomy and physiology of blood and the organs that create it. It also deals with the origins, diagnosis, treatment and prevention of blood diseases, including bleeding disorders, hematological cancers, anemia, and hemoglobin abnormalities. Other sub-specialties of hematology focus on blood bank operations, blood transfusion, and bone marrow and stem cell transplantation. In clinical settings, hematology is generally combined with oncology, since many diseases such as lymphoma, leukemia, multiple myeloma and immunological disorders cross the boundaries between the two disciplines. Non-oncological blood diseases include iron deficiency anemia and genetic disorders such as hemophilia, sickle cell disease and thalassemia. Because laboratory analysis of blood is a key diagnostic tool for hematological disorders, hematology is closely associated with serology, the study of blood serum and other bodily fluids, as well as with oncology. Common hematology tests include complete blood count (CBC), erythrocyte sedimentation rate (ESR), and coagulation tests such as prothrombin time (PT) and partial thromboplastin time (PTT). Serology is often used to refer more specifically to detection in blood serum and identification of antibodies to microorganisms. Antibodies are created in response to specific infections, or to either foreign or the patient’s own proteins, making serology invaluable for diagnosis of a wide range of diseases and conditions, including infections, autoimmune diseases such as rheumatic illnesses, and immune deficiencies, which are indicated by consistently negative tests for antibodies. The presence of antibodies may indicate active infection or merely that the patient had previously been infected. The amount of antibodies is indicative of how active an infectious disease is at any time. In patients who have immunity to a given disease, antibodies may be detected even if the person being tested never suffered from the disease. Serology tests utilize a variety of techniques including agglutination, precipitation, complement-fixation, fluorescent antibodies and others. Epidemiologists may use serological surveys to assess the prevalence of disease in a population. Serology testing is also used for forensic analysis of blood and other bodily fluids found at crime scenes. Forensic scientists can determine key information such as whether the blood is from a human or an animal and the gender and blood type of the person.